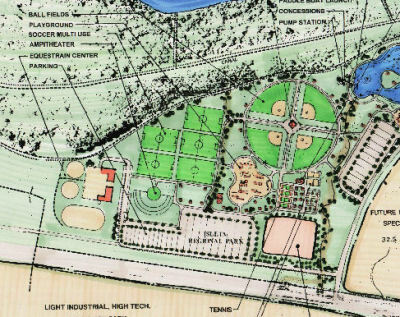 New 11-Acre Sports Park Under Construction ! Audie Murphy Ranch in Menifee, CA. MENIFEE, CA–(Marketwired – May 30, 2013) – Those who are already fortunate enough to call Audie Murphy Ranch home know precisely what makes this premier master-planned community in Menifee so ideal. But life here is about to get even better with the amazing new Sports Park now underway. The 11-acre park site, which will include Menifee’s first skateboard park as well as baseball and soccer fields, basketball courts, tennis courts, playgrounds and picnic areas with lighting, has broken ground and construction is moving full speed ahead. Residents and homeshoppers alike are expressing their excitement about these new recreational amenities and the incredible benefits of living within a master-planned community that has been designed in perfect unison with the needs of today’s families. Visit Audie Murphy Ranch today and see what everyone is talking about or log onto www.AudieMurphyRanch.com to register your interest. The future Sports Park is not the only exciting milestone unfolding at Audie Murphy Ranch. The recent unveilings of Richmond American Homes’ new Palomino neighborhood and Brookfield Residential’s Big Sky collection further prove why Audie Murphy Ranch is the only place to live in Menifee. Palomino is an inspired collection of spacious single-family homes with a host of upscale features. One- and two-story floorplans range from approximately 2,320 to 3,122 square feet, with three to seven bedrooms and two to four baths. Prices start from the low $300,000s. Big Sky offers an incredible value on new luxurious residences with abundant room for everyday living, entertaining and sports toys. One- and two-story single-family homes range from approximately 2,790 to 3,800 square feet, with three to six bedrooms and 2.5 to 5.5 baths. Prices start from the mid $300,000s. New homes are also selling at Woodside Homes’ Cimarron and Laredo neighborhoods. Cimarron showcases one- and two-story single-family homes that range from approximately 1,662 to 2,465 square feet, with three to five bedrooms and two to three baths. Prices start from the mid $200,000s. Laredo’s one- and two-story single-family homes range from approximately 2,304 to 3,119 square feet, with four to six bedrooms and two to four baths. Prices start from the low $300,000s. Audie Murphy Ranch is a new master-planned community set amidst 1,100 rolling acres of homes, parks and timeless beauty with convenience to local hotspots including the Menifee Countryside Market and the Menifee Town Center. Surrounded by magnificent trees and century-old rock formations, rugged silhouettes of the San Jacinto and San Bernardino mountains provide a majestic backdrop to this special destination. Developed by Brookfield Residential, the master plan community provides a variety of new home neighborhoods for classic family living. Bordering an ecological preserve, Salt Creek is within the center of Audie Murphy Ranch, while miles of meandering trails and paseos link residents to community amenities. 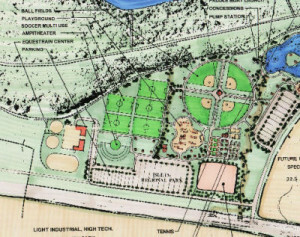 Three planned public parks, including the Sports Park now under construction, will provide an abundance of recreational opportunities, while the private recreational center will be the centerpiece of community fun. Once completed, residents will enjoy a swimming pool, spa, children’s pool, barbecues, picnic areas, playgrounds and a 3,500 square foot recreation building for special events. Students of all ages have access to a great education under the Menifee Union School District and Perris Union High School District, as well as charter school opportunities. The community’s location near the I-15 and I-215 freeways offers convenient access to business and leisure in San Diego, Orange County, Riverside and San Bernardino. Residents also have convenient access to local amenities such as Menifee Lakes Golf Course, fishing at Diamond Valley Lake, local equestrian stables and The Elsinore Diamond Stadium. For more details, please visitwww.AudieMurphyRanch.com. To visit Audie Murphy Ranch from the I-15 North or South, exit Railroad Canyon, which turns into Newport Road and turn right on Goetz Road into the community. From the I-215 North or South, exit Newport Road and go west. Proceed on Newport Road, turn left on Goetz Road into the community. How to Make Employees Care? Show How Your Company Cares ! Which of the following is more motivating? And the answer is…. b, according to several studies profiled in this Washington Post piece. In one of them, the behavioral economist Dan Ariely showed employees might be more satisfied with their jobs when given the chance to help others. In fact, social impact programs are probably one of the best but overlooked ways to boost employee engagement and morale. And we should deeply care about employee engagement and morale. Research suggests that engaged employees are 50% more productive and 33% more profitable – not to mention they are responsible for 56% higher customer loyalty scores. Saving the koalas could be good for your bottom line. So which social impact programs work? Here are two ideas. 1. Be a company that has a positive social impact. Net Impact recently surveyed Millennial, Gen X, and Baby Boomer employees and found that employees who felt they had “impact” jobs were two times more satisfied at work. 2. Make it easy for employees to have a social impact through your company. Enable employee giving to favorite charities or create a volunteer or mentoring program. Skills-based projects have double benefits in that they allow employees to build capacity in the social sector (and feel good about giving back) and enhance professional skills and perspectives that make them better at their day job. The 2011 Deloitte Volunteer IMPACT survey found millennials who frequently participate in workplace volunteer activities are nearly twice as likely to be very satisfied with the progression of their career. If you’re interested in more, my organization Network for Good recently released a free guide on employee engagement trends and advice on how to integrate social impact into your employee engagement strategy. Olympics / IOC to make a decision in September ! ST. PETERSBURG, Russia (AP) — Wrestling, squash and baseball-softball made the IOC short list Wednesday for inclusion in the 2020 Olympics. Three months after being dropped from the 2020 program, wrestling took a big step toward keeping its Olympic status. Eight sports were vying for a single opening in the lineup. Eliminated from contention were five sports – karate, roller sports, sport climbing, wakeboarding and the Chinese martial art of wushu. The IOC executive board will submit wrestling, squash and baseball-softball to the full IOC assembly for a final decision on Sept. 8 in Buenos Aires, Argentina. “It’s a good mix of team sports and individual,” IOC vice president Thomas Bach said. The decision came after the eight sports federations made closed-door presentations to the IOC executive board. Men’s baseball and women’s softball, which have been off the program since the 2008 Beijing Games, merged into a single federation to improve their chances. Squash is bidding for an Olympic spot for a third time. Wrestling, with a tradition dating to the ancient Olympics, was surprisingly cut from the list of core sports by the IOC board in February. The decision caused an international outcry and prompted the United States, Russia, Iran and other countries to join forces in a bid to bring the sport back. Hot Concession Item Tips ! The irresistible aroma of fresh kernels popping seems to radiate for miles. Once you pick up this buttery, salty snack, putting it down seems almost impossible. Popcorn is the number one most profitable concession stand food. When you think about popcorn, you think about the yummy flavor of theater popcorn. We deserve theater popcorn at home and this is easy to do. When you rent a popcorn machine it is usually a 6 to 8 ounce machine. This means the machine’s kettle holds 6-8 ounce packets of popcorn. A popcorn packet or as I call it, the all-in-one has perfectly pre-measured kernels, butter, oil and popcorn salt all together. The all-in-one packets are the easiest to use for rental customers. You can certainly purchase all the ingredients separately but everything has to be measured and that means more items to clean up. When popping the corn you want to make sure most of the kernels pop and avoid burning the popcorn. Hint: Listen to the popping sounds, I call it pop alert, at first the pops are just a few, then there is rapid popping, towards the end of the popping cycle the pops are few, this is the time to pour the popcorn out of the kettle. Hint: When scooping up the popcorn avoid putting your arm near the bottom of the kettle, it is very hot! Brightly colored cotton candy is just as pleasing to the eyes as it is to the taste buds. This sticky, sugary treat is a delight to both kids and adults. The cost of cotton candy ingredients is minimal, and the rent of the cotton candy machine is low. If you plan on becoming and cotton candineer – A yearly profit of $6,048.00 may be earned by averaging a sale of 20 servings of cotton candy per day, at $1.00 per serving. I have never met a person that did not like cotton candy. CC is spun sugar made of mostly air. Not only does it melt in your mouth but it comes in a variety of tasty flavors. A typical serving of cc is one ounce on a stick – that is it! One ounce is only 100 calories. The cc machine is easy to use, the instructions are on the front of the machine. There are three main components to the machine. The top, or the sugar reserve bowl, this is where the sugar goes, the giant bowl and the two controls. The top has a heater in it and it melts the sugar, adds air and spins the cotton candy out. The giant bowl and netting catches the cotton candy and the 2 controls is the on off and heater knob. Sno cones are the most popular concession treat on hot summer days. They are made with two ingredients, crushed ice and flavored syrup. One 22 pound bag of ice will make approximately 50-60 sno cones. The syrup comes in 1 quart or 1 gallon serving containers. One quart serves about 25-30 cones. 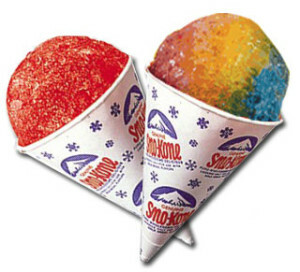 The best way to serve a sno cone is to put half of one flavor on one side of the cone and put another flavor on the other side. Yummmmm ! TODAY: Our great friend, Peter McCabe, of Rochester, NY, who will have his moment to spread his message on Conduct of People, and Assault’s on Referee’s, on HBO Real Sport’s with Bryant Gumble on tonight @ 10:00 PM. Ricardo Portillo was a 46 year old referee who loved to ref as a hobby, and was punched in the face by an upset 17 year old player during a match, slipped into a coma, and passed away the following week. Pete, a football official, will share his story and pass his message on in hopes that this can make people think, it’s only a game. Please watch tonight and share your comments on this show with us here at SODA. Assualt in Salt Lake: The importance of officiating insurance ! 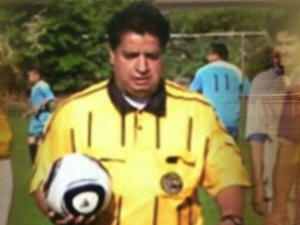 Ricardo Portillo loved soccer, to play it, to ref it. He worked in La Liga Continental de Futbol, a recreational league formed to give Hispanic children in the suburbs of Salt Lake City an opportunity to play soccer together and bond over a shared passion. On May 4th Portillo passed away a week after having sustained a serious brain injury as the result of an in-game punch to the head. His assailant? A 17-year-old unhappy with a call. 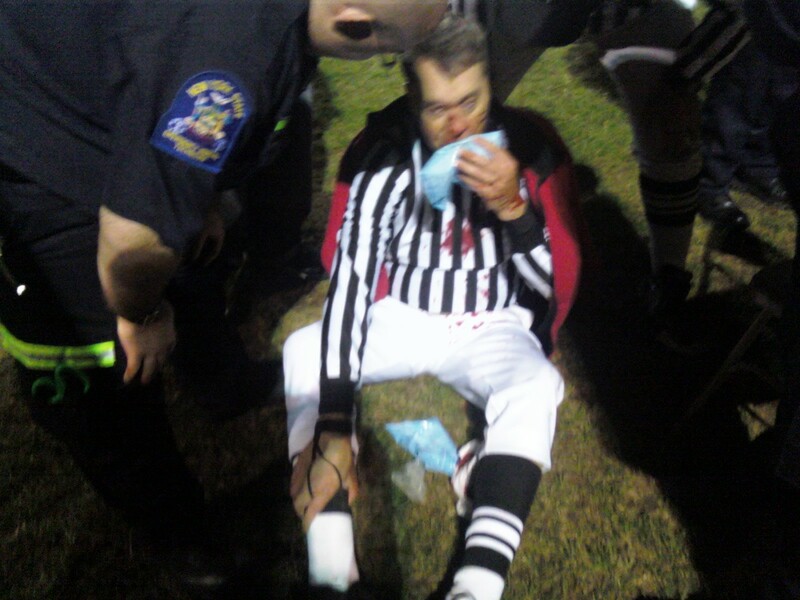 Did you know only 22 states have passed legislation protecting sports officials from assault? The National Association of Sports Officials (NASO) reports that about once a week, an incident of physical abuse against an official is reported. Given the increasingly violent environment plaguing our current sports scene, it has become more important than ever for our athletic officials associations to purchase Accident Insurance along with General Liability. For program details and instant quotes, please visit our page for Amateur Sports Insurance Program for Teams/Leagues. So please, to all our respected officials, ensure your protection with officiating insurance each and every time you step onto the field. NASO President to Appear on HBO’s Real Sports ! RACINE, Wis. — Barry Mano, president of the National Association of Sports Officials and the publisher of Referee magazine, will be among those featured tomorrow (Tuesday, May 21) in a segment on HBO’s Real Sports with Bryant Gumbel. Mano was interviewed by the monthly sports newsmagazine about the increase of poor sportsmanship in society today, with focus on physical assaults of sports officials. The show was spawned by the recent tragedy in Utah in which a recreation-league soccer referee, Ricardo Portillo, was punched by a 17-year-old player and later died from his head injuries. It is the first officiating-related assault death during an organized game in U.S. history. NASO’s perspective shed light on the fact that roughly 3-5 officiating assaults are reported to NASO’s Racine headquarters monthly. Jon Frankel, HBO veteran reporter, conducted the interview with Mano on Tuesday, May 14, in Racine. A nine-person crew, including four cameramen and three sound technicians, were on hand for the recording. The National Association of Sports Officials is the world’s largest organization for sports officials at every level and all sports. More than 19,000 sports officials from around the world belong to NASO, enjoying member benefits and supporting an organization that advocates for sports officials and that helps them maintain the highest level of officiating skills. Thousands of dollars worth of equipment stolen from Santee sports park ! 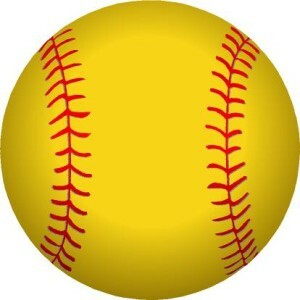 SANTEE, Calif. – Santee ASA Youth Softball players are calling “foul” on the thieves that ransacked their field and took off with thousands of dollars worth of sports equipment. It is not clear exactly when the heist happened, but organizers believe the thieves struck the Santee Town Center West Park last weekend. Strandberg believes the robbery may have been an inside job. Currently, 34 managers have keys to the field, a policy that Strandberg says will change. The league is even considering installing surveillance cameras at the park. The stolen equipment is costing the league nearly $10,000 to replace. Some of it is already being replaced using fundraising dollars. 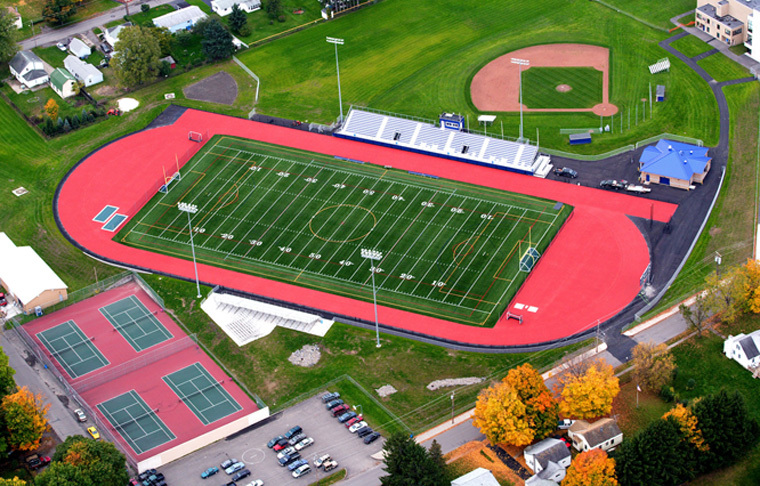 SODA Sportsfield Planning Guide ! Decline of Youth Participating in Baseball ! The decline of youth participating in baseball leagues has drastically declined in the United States over the past ten years. According to the National Sporting Goods Association participation has declined 31.1% in children seven to eleven years old and declined 35.9% in youth ages twelve to seventeen with all participation being down 17.3%. Though there are more leagues today then ever before, youth baseball is still on decline. But what is the difference between the Babe Ruth League, Pony Baseball, American Legion, USSA Baseball, or even Little League? The answer is simple, the rules and level of competition. I believe the extreme pressure put on youth to specialize in a sport has driven many who simply do not have the skill level to compete at an elite level to just stop playing the game all together. Though there is success for many who get together and travel the country playing in elite tournaments, the number of youth who have that skill is limited, thus the overall participation in baseball and other youth sports declining. (Ripken Jr) In many cases our society has put more emphasis on winning then teaching values, promoting positive ideas, or fostering community. A great example of this is Little League Baseball. 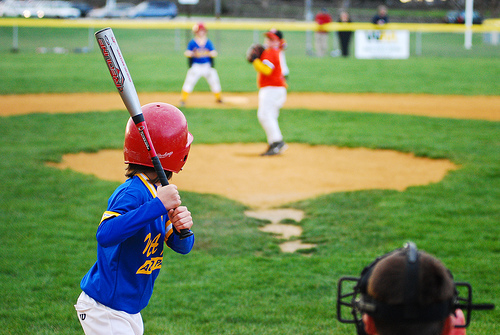 Little League is the largest youth baseball program in the world even though it’s built around fair play and teamwork. According to LittleLeague.org, there are more than two hundred thousand Little League teams in fifty states and growing around the world. As many know, the Little League World Series is televised yearly through their partnership with ABC/ESPN. At the LLWS, video replay is utilized mostly to appeal to the television audience. They do it quickly with an average review time of 52 seconds; this is from the time the umpire or coach requests video replay, to the decision from the reviewing official. Little League is staying true to its mission but also taking steps to appeal to more people while making sound business decisions. Please do not misunderstand my argument and think I am arguing against competition; my argument is this, elite competition does not appeal to every kid, and since youth sports are becoming more and more competitive, the lack of appeal has been seen in the form of children and families choosing not to participate. This is just one of many factors for the decline, but if youth sports are not a place where life-lessons are taught in a fun atmosphere, leagues will continue to not appeal to the average family, and youth participation will continue to decline.